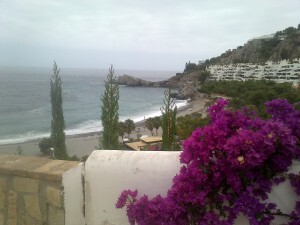 STUNNING LOCATIONS ON THE SOUTHERN COAST OF SPAIN. 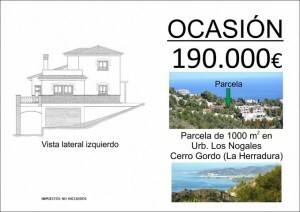 Plot of 1,000m2 on the Urbanisation Los Nogales, Cerro Gordo, La Herradura. 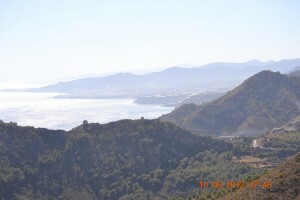 A unique enviroment in the Cerro Gordo National Park with magnificent open coastal and sea views. 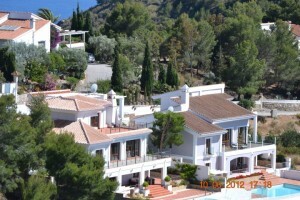 Only two other Villas for neighbours. Building licence for a 2 storey of 200m2 and a further 100m2 underbuild. 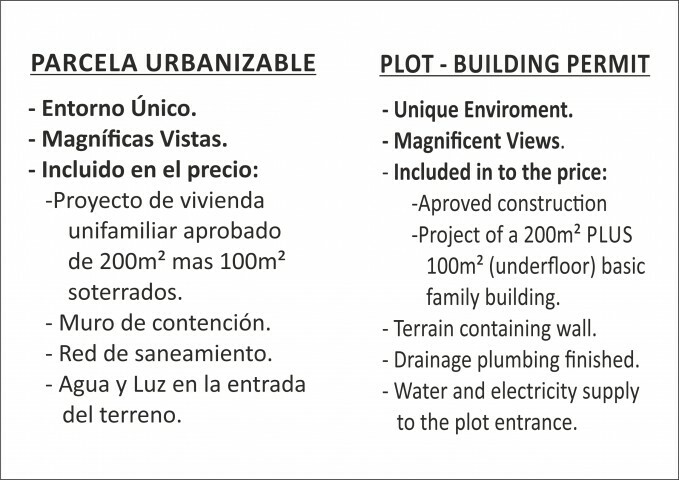 Plot benefits from a terrain containing wall, drainage and plumbing to the plot and completed, with mains water and electricity at the plot entrance. 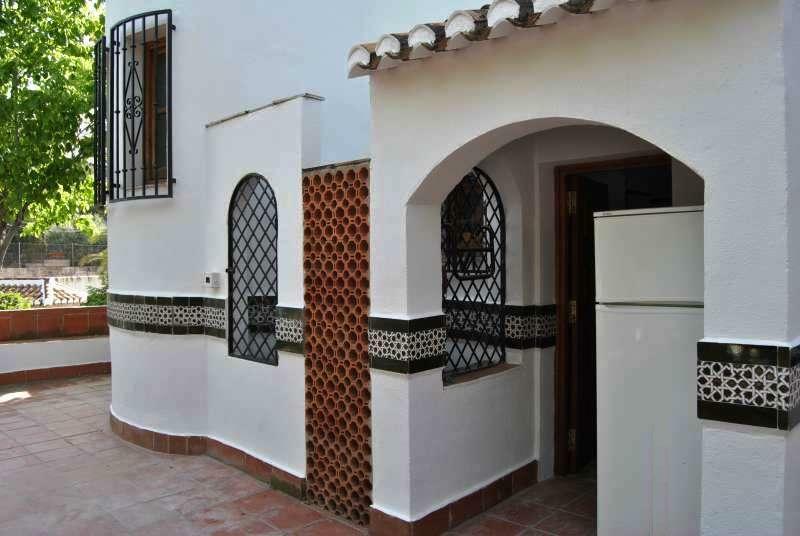 NOW REDUCED TO SELL BY THE BUILDER BARGAIN 190,000 euros. 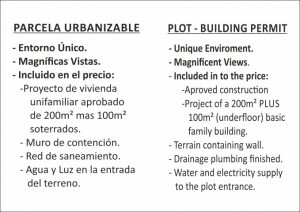 The plot is rectangular in shape so easy to build on and flat. 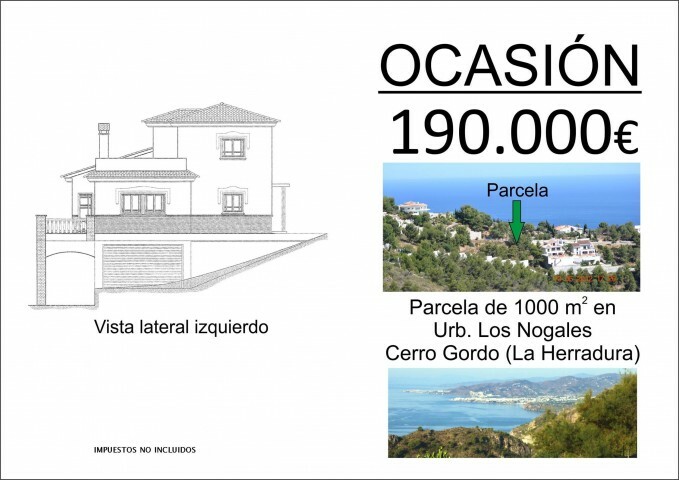 Local builder has provided us with an estimate to build as plans show in photographs, to include everything to a high standard would be around 350,000€ inc IVA. 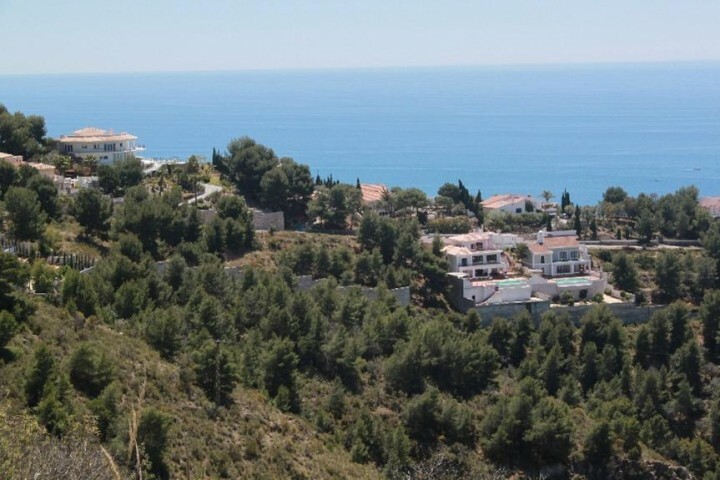 This would be a great investment as total build plus plot would be 540,000€ probable worth over 1,000,000€.!!! 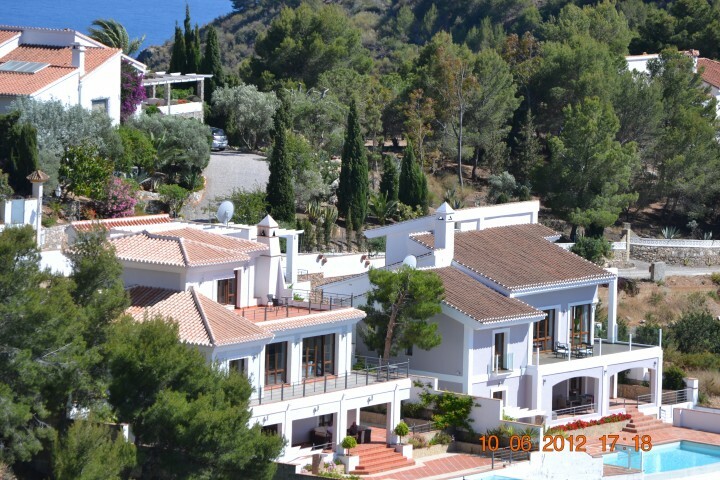 February 20, 2014 in From independent agents, Granada, Uncategorized. 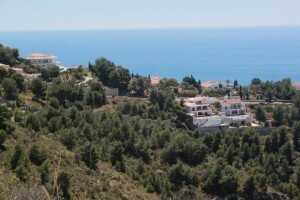 ← House in Spain for sale in La Herradura 10m from the beach! !